We’ve already won so much. This election is 140 or so days away from V-day. But we have had some significant victories. The one that is most striking is this—It will never be particularly noteworthy again to have a major contending candidate for the office of president being either an African American or a Woman (or both!). The work has been long and hard—and there is much more ahead of us but we have won a few of the battles this election season. Today I am musing about our advances in the area of political gender bias. Hillary was right, the gender glass ceiling now has 18,000,000 cracks in it and the light is starting to shine through. Suddenly plans and discussions concerning things like Project 2024 don’t seem so unlikely or surprising. And this change happened quite literally in 18 months. 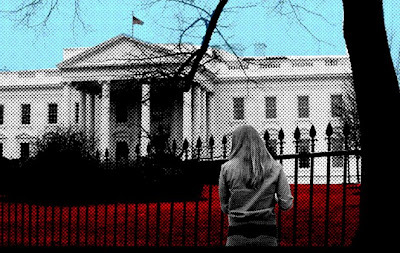 Project 2024, an effort launched six years ago by teen magazine CosmoGirl with the support of the White House Project, a New York-based bipartisan advocacy group that works to elect women to all levels of political offices. Do you think a woman could be president? Do you think a woman could be strict? Why do you think we haven’t had a woman president yet? These questions are real, and we are coming closer to real answers. Better yet, we are getting closer to understanding how insane and hypocritical our answers have been over the last 200 years. And these young women are going to take this country to school, and it doesn't seem like they are going to wait till 2024 to do it.